Feeding since April, 2007, to 9 cats, aged 4 to 17. So far, so good. My cats love the food. Don't see them drinking water now, except the early CRF cat. Much less stool than when on dry food with grains. I alternate mostly chicken & turkey, occasional chicken/herring or turkey/salmon. Overall, they give it 9 paws up. anabelle_katie had an excellent idea while back about posters listing their Wellness can codes. Excellent idea! These are the Wellness cat can codes I am currently feeding. Two of my three cats continue to eat Wellness and are doing fine. IBD cat cannot tolerate Wellness (or any canned food) so no longer feeding it to him. These have different code styles than the above. First time for the Chicken & Lobster. they loved it. Turkey - case of 5.5 oz cans - 7WTKS4 12 Jun 10 - No problems to date. My cats pretty much refuse to eat Wellness or any other canned food other than Fancy Feast. If I mix a spoonful of Wellness into their FF, they will not touch it. They do not starve, however, because they have grain-free kibble to fall back on, and they will eat that instead. I've been using Wellness canned products for many years. My cat only likes the chicken flavor, but every once in a while he will eat the turkey or turkey and salmon. I like the grain-free varieties. I had an IBD kitty and it was all she ate and did very well for many years. It's PEACE, not war & greed, earthlings! Baby/Buster is a striped mix with a fur heart on his head, 15 lbs and his home is in Massachusetts. Wellness Complete Health, Indoor Health: Took a while to get him on Complete Health from Hill's prescription C-D/S for crystals and blood in urine, but taking away the grains, the benefits were less shedding, not so fishy breath, fiesty and active - wants to play and chase the birds, does not sleep all the time and most importantly, weight loss and no repeated urinary problems. Wellness canned, excluding sea food varieties that he won't touch. Please refer to the dry food improved symptoms. Disclaimer: Opinions, thoughts & premises are my own, except links & quotes. Trying to get my five (ages 4 - 11+) to try the Wellness cans. The only hit so far is turkey and salmon. Looks like the DWB numbers aren't good for my ARF girl, though. Thanks for figuring them ~ hadn't gotten around to that yet. Just recently started introducing Wellness canned to my dry-addicted cats, who have never had wet food before. The two non-picky ones eat it without question, two others will occassional eat it, but it's hit-or-miss, and the fifth will have nothing to do with it. She's super picky though, so it's no surprise. So far, no problems to speak of. Two of my boys have been eating Wellness cans since April. They previously ate only prescription weight control dry food. When I moved them to the canned food I decided it was time for them to loose weight (loss of 1.5 lb for one and 2.5 for the other). They are nicely loosing weight and are very healthy & happy on the new food. They may get a little hungry due to less calories, but not grumpy like they would when I tried reducing the quantity of dry food. They went from 235 calories/day to 218 or less per day. The smaller one is about 6 ounces away from his weight target, the other is about 1 lb. Have tried all of the grain free flavors. What is interesting is there were some that I didn't think they cared much about early on but when I've rotated back to them they eat them now. They normally eat (1) 3 oz can of turkey/salmon and (1) 3 oz can of turkey each per day. I do rotate in some of the other grainless ones from time to time for variety. I found I can rotate the turkey with chicken without any problems, but will have to do gradual rotation on the beef ones as one of the boys vomited when I just switched flavors too fast. My third kitty with IBD, as I've posted elsewhere on here, got very sick - we think it was due to Wellness. So still checking out other foods for him. My two boys did not the 1 can of Wellness I have offered to them so far. I had to throw the can out after a while. I may try again sometime later.. in a few weeks. They eat raw supplemented by a little comerical wet and dry cat food. Never a problem-fingers crossed. :)So far so good for my CRF cat and Chubby Cat. Right now the cats are eating a rotating Turkey wet and Chicken and Herring wet. The cats get Healthy Weight dry. I just recently (in light of the Natura troubles) switched my cats to Wellness canned food. I was suprised to find that they really seem to like the grain free flavors. In the past I had tried the flavors with grain and they didn't like those at all. So far, so good. No adverse effects in the switch from Natura to Wellness. So to recap: Wellness grain free is a go. Wellness w/grain no go. I also just switched to Wellness. In the past my cat did not do well on it (she got covered with itchy sores from any flavor that had fish in it). However, I was desperate so I tried the grain free turkey & chicken flavors. She likes them better than the previous grain versions. It's been about a week now, and no problems so far. I will report if she starts having itchy skin again. We're in earthquakey California. Have been feeding the Turkey and Beef & Salmon flavours. KD loves them both, but seems to prefer the Turkey - it also smells better to my human nose. So far no problems. Both cats on Wellness for 6 weeks now, doing well, but yesterday my one cat puked up some after eating, no hair ball or anything, so not sure what to think, other wise so far so good. They are fed Chicken, Turkey, and Beef and Chicken. Canada. 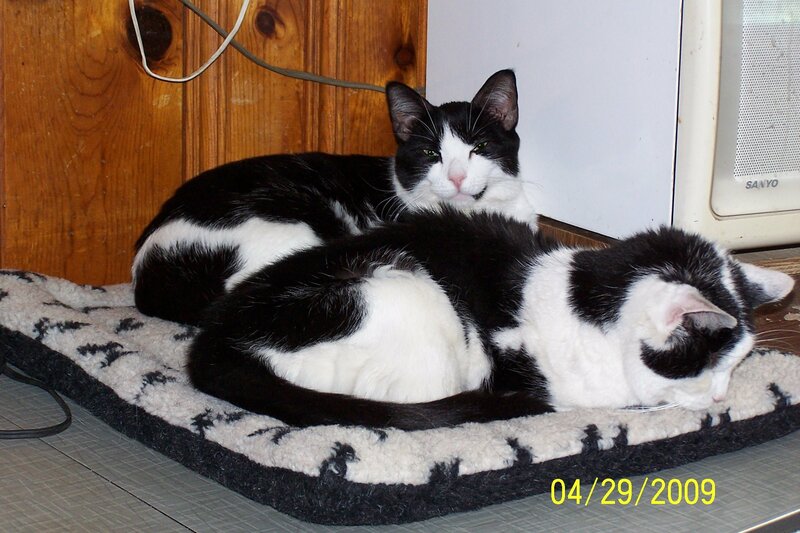 Two cats, ages 5 and 7, on Wellness Chicken wet for over four years. No complaints, and my cat with allergies tolerates it well. I'm in the San Francisco Bay Area of California. The texture of the food seems to have changed in the past five or six months. The food seems moister/mushier now. The food's texture seemed to change right around the time of the initial recalls. My cats haven't shown any change in their preference for the food pre- and post-change in consistency.